Welcome to week 6 of a study from Let's Talk About Ministries "Living in relationship with Jesus" series. This 8 week study follows Paul's letters to the Thessalonians. Paul's second letter starts by acknowledging the troubles and persecution that the Thessalonians are now suffering. He encourages them that it is evidence of God moving and working in and through them. This must have been a real comfort to them as they struggled to stand firm in the face of hostility, but do Paul's word discourage you? Does this mean you are only living a worthy life for God if you are being persecuted? Is God only working where there is fear and violence? We know that there are many Christians who live under the constant threat of death for their faith, and persecuted with violence for standing firm. This does not mean that they are more godly or worth more to God than you are. What about the snide remark from an unsaved friend when you behave a little differently? How about the lack of interest in what you do from unbelieving family? Do you struggle on a Monday morning with the lack of understanding from colleagues when you talk about your weekend? You suffer with feeling excluded, different, laughed at and misunderstood. When you refuse to join in the gossip over lunch, leave family at home to attend church, don't go out getting drunk, or you don't sleep with your partner, you suffer the reactions of others. Your life may not be threatened because of the way you live, but the dirty looks, cutting remarks and feelings of exclusion are ways in which you suffer for Christ. You are, as Paul says in verse 4, persevering in faith despite these things and as such, you are counted worthy of the Kingdom of God. 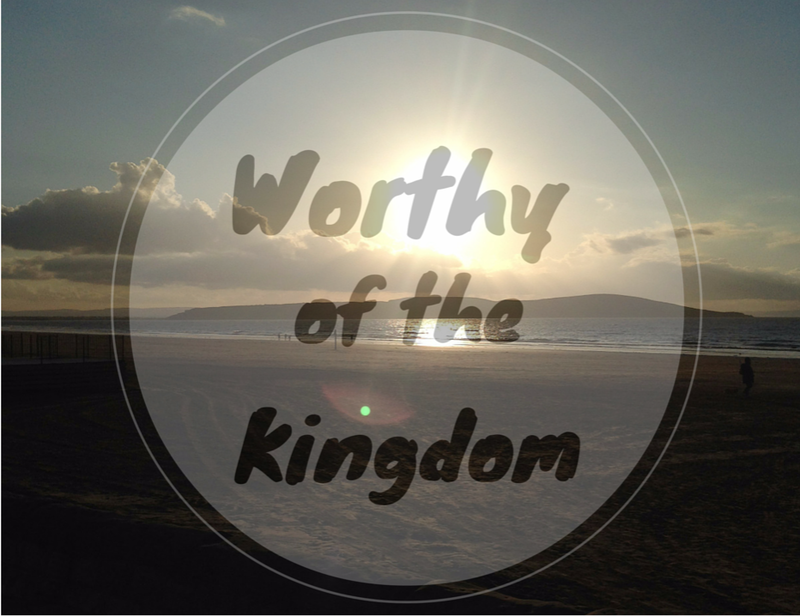 Is Jesus' name being glorified because of the way you are living? Thanks so much for sharing! You are so right that the consequences of following God aren't always so extreme. I was actually just thinking about this this morning and how we really shouldn't be surprised when the world doesn't understand or is sometimes hostile since we are following something very different than what everyone else is chasing and it is often so mutually exclusive that it creates conflict. I wish we'd learn to handle this conflict better and accept such a negative response without demanding our rights in the situation as Jesus never demanded His and He of all people had every right to. It may be uncomfortable, but Jesus said that it would be... and it's worth it. Glad to have visited today!